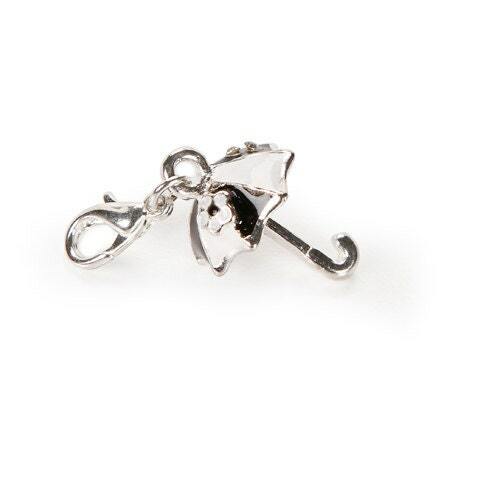 Pretty umbrella charm, complete with alternating white and black enamel panels. 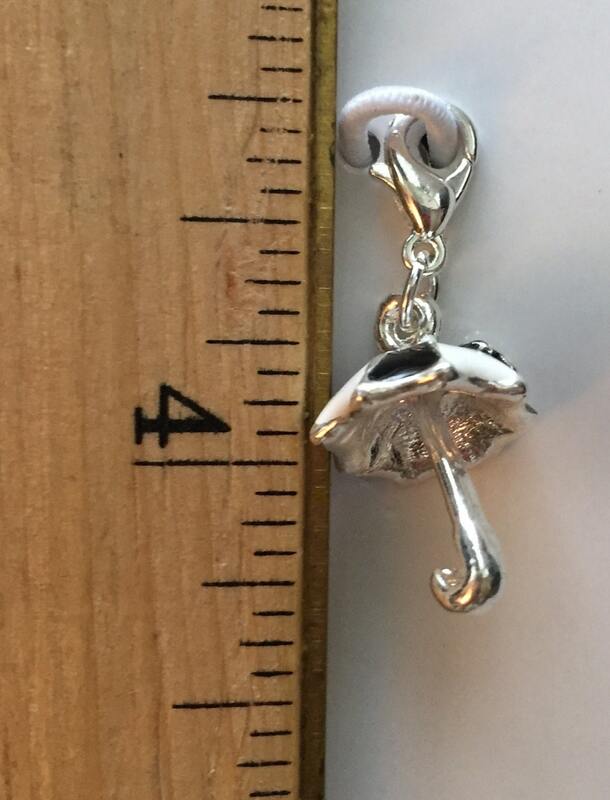 Topped with a five-petal flower. 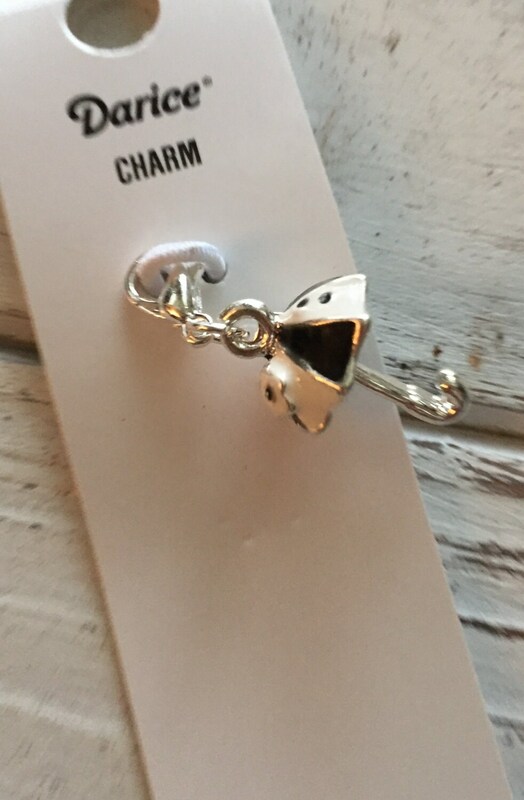 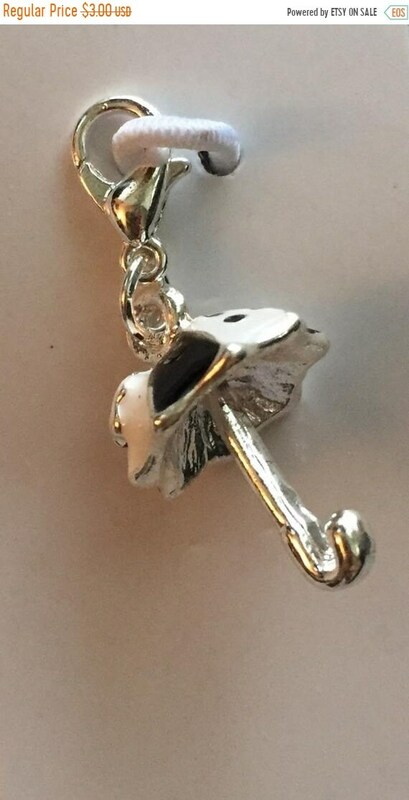 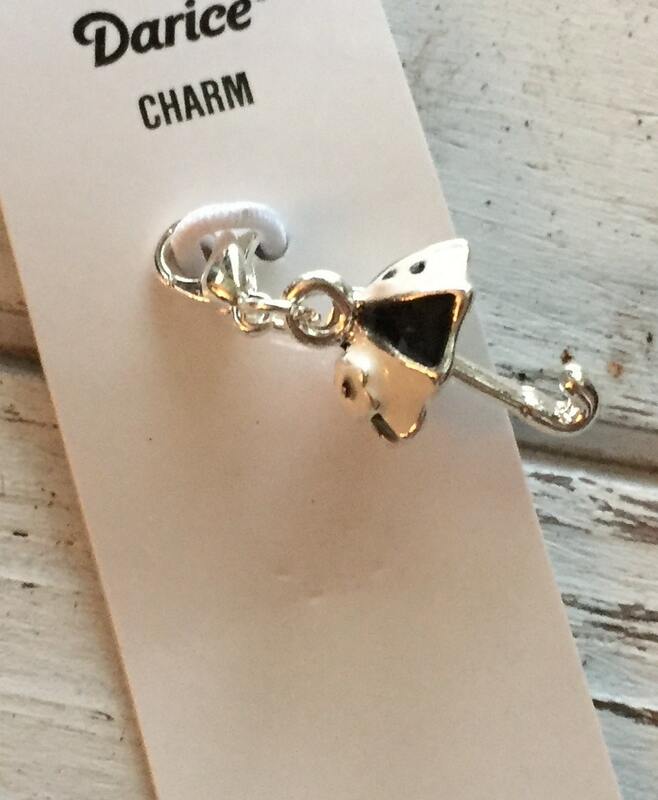 Great for adding personality to your jewelry, this charm works beautifully for bracelets, necklaces, and more.